Elvis place of birth Tupelo, Mississippi. 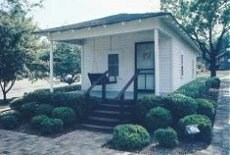 The most significant landmark in Tupelo the Presley’s two-room house where Elvis was born on January 8, 1935. 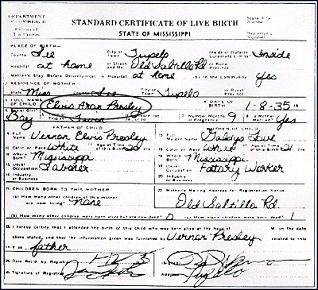 Elvis Presley birthplace: Tupelo was a dirt-poor town in the deep South. The sharecroppers and laborers, whites and blacks alike, all sought refuse from their misery through religion. It was in church, Elvis first heard music, Gospel music, and this Southern-style expression in song would remain the strongest influence on Elvis’ music till the very end. 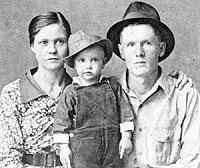 Although pitifully poor, Elvis’s mother saw to it that her only surviving child would have the best of what little money could buy. For his 10th birthday, she bought him a guitar. At first little Elvis objected – he had wanted a cap gun. Maybe that’s the reason in later life, when money was no object Elvis had a fascination and collected firearms. Later, with the help of uncle Vester, Elvis learned to play the guitar, well enough to accompany himself singing OLD SHEP. 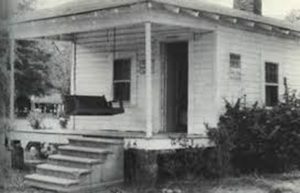 A family friend, Mississippi Slim, encouraged Elvis’ guitar playing by teaching him additional chords – sharps and flats. According to Slim, Elvis was an attentive student, but was not a quick learner. 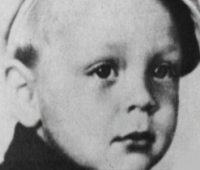 Name: Elvis Aron Presley: born in Tupelo, Mississippi at 4:35 AM January 8, 1935 during The Great Depression. Times were hard everywhere, but especially in the rural South. The national average annual salary was $1,368 unemployment was 25% Milk was 14cents a quart & bread 9cents a loaf. To escape the dire circumstances people amused themselves with board games like the new Parker Brothers game Monopoly, and by reading mystery novels by such writers as Agatha Christie and Raymond Chandler. Another pastime was listening to the radio. On the radio in the 1930’s were comedians Jack Benny, George Burns/Gracie Allen, and Fibber McGee and Molly. Dramatic radio serials featuring The Lone Ranger, The Green Hornet &The Shadow kept listeners enthralled. The music was that of the Big Bands were Benny Goodman, Duke Ellington &Tommy Dorsey as well as the folk songs of performers Woody Gutherie. George Gershwin, Cole Porter & Irving Berlin were the songwriters of the time. 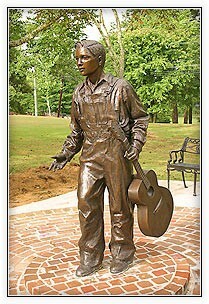 Popular Country singer Jimmie Rodgers had died in 1933. The “singing cowboy” Gene Autry was making movies and Len Slye (later world famous as cowboy star Roy Rogers) and the Sons of the Pioneers were becoming well known.